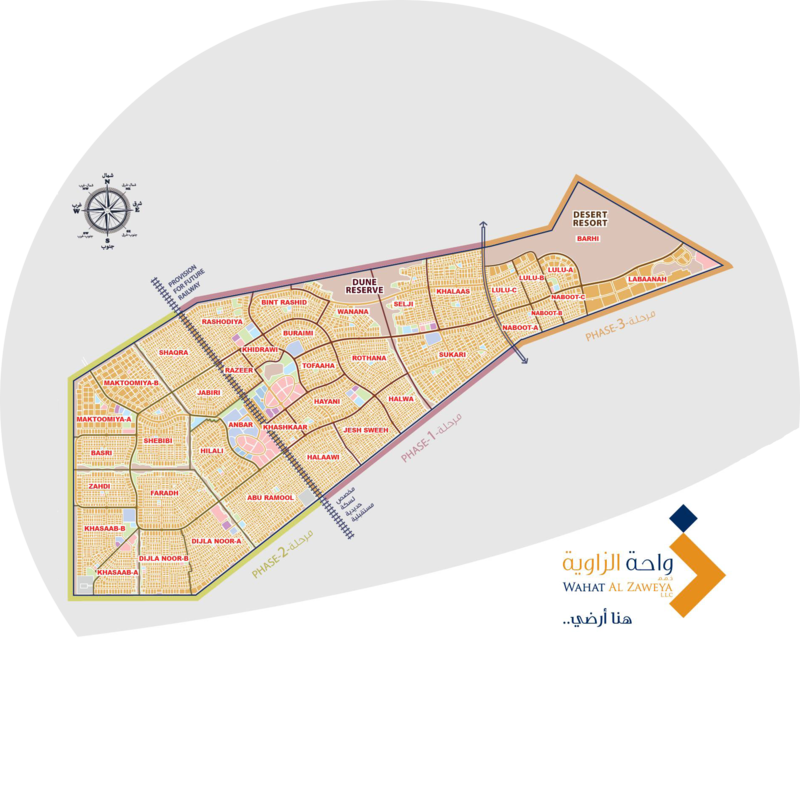 Wahat Al Zaweya is an eco-friendly, self-sustainable, mixed – use community, spread out over 22.7 million sqm in the Faqaa corridor of Al Ain region. The proposed project is possibly the first and largest project in the Al Ain region to offer freehold title for locals. Wahat Al Zaweya has envisioned the project to become an ideal weekend and getaway destination for local Emiratis. The project will comprise holiday or weekend homes that co-exist with a host of other developments.